In October 1974, 40 newcomers arrived at the seminary’s doors, bringing the number of aspirants to the priesthood to 130, as well as five postulants for the SSPX’s brothers. But the storm broke out suddenly on November 11, 1974, with the coming of two Apostolic Visitors to Econe. The report was 99% favorable. However, these two prelates were not ashamed to tell the seminarians, during their conversations that “the ordination of married men was normal” adding that they “did not admit an immutable Truth,” and stating lastly that they “had doubts about the traditional manner of conceiving the Resurrection of Our Lord.” Scandalized by their attitude and unwilling to collaborate with what Paul VI had already called the “self-destruction of the Church,” Archbishop Lefebvre wrote and published his famous Declaration of November 21, 1974. After appealing the decision, the Archbishop Lefebvre took the entire seminary on a pilgrimage to Rome for the Holy Year. During the year 1976, confronted with the calm resistance of “the iron archbishop,” more radical measures were taken. Cardinal Villot illegally blocked the appeal. The Secretary of State wrote to the bishops’ conferences of the whole world to invite the local bishops to deny candidates of the SSPX incardination in their dioceses. 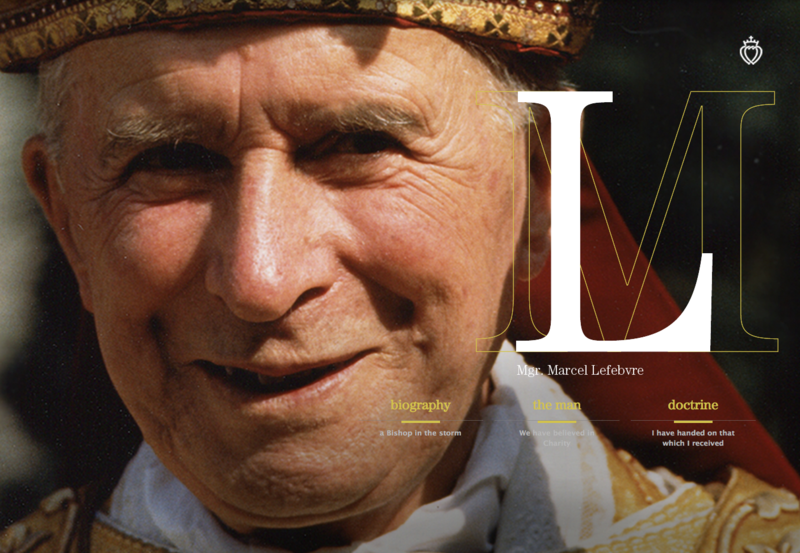 Lastly, Archbishop Lefebvre was threatened with sanctions if he carried out the priestly ordinations. The crux of the whole drama was the explicit acceptance of the whole of Second Vatican Council, its decisions, the reforms that flowed from it, as well as the New Mass. It would have been enough for the archbishop to concelebrate one New Mass for all the difficulties to be smoothed out. Then came the summer of 1976, called also the “hot summer.” After the priestly ordination of 12 priests on June 29, Archbishop Lefebvre was sentenced with a “suspens a divinis,” a sanction that, as he noted with some humor, prevented him from saying the New Mass! Then there was the Mass in Lille and its Catholic sermon that was front-page news.